Choosing a wedding photographer is no easy task. We know that. So we've narrowed it down for you. Here is how it works: Rivets & Roses is a Minneapolis-based wedding photography studio featuring a team of four photographers — each with their own style, personality and approachable price points. We invite you to browse through their portfolios to find the photographer whose work resonates most with you, then simply contact them for a match made in wedding photography heaven. 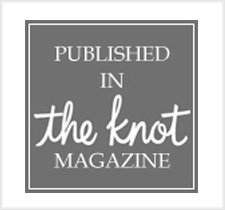 Each of Rivets and Roses's wedding photographers have been hand-picked and endorsed by owner Eliesa Johnson, of Photogen Inc., to ensure quality work and a rave-worthy experience. After all, these are photos - and memories! - that will last a lifetime. Based in Minneapolis and available for travel worldwide.